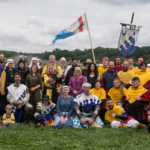 The Cleftlands Battle Unit gathered at the Pennsic War, August 2017. 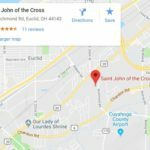 The Cleftlands weekly meeting is held Wednesdays in Euclid, OH from 7:00 to 10:00 PM. The Barony of the Cleftlands is the Cuyahoga County (Cleveland), Ohio chapter of the Society for Creative Anachronism, Inc. 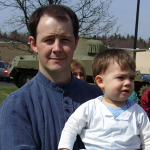 The Society for Creative Anachronism (SCA) is an international non-profit volunteer educational organization. 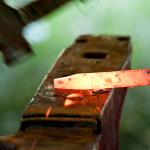 The SCA is devoted to the research and re-creation of pre-seventeenth century skills, arts, combat, culture, and employing knowledge of history to enrich the lives of participants through events, demonstrations, and other educational presentations and activities. The SCA’s “Known World” consists of 20 kingdoms and over 30,000 members around the globe. If you or your organization would like to schedule a demonstration, please contact us! Whether you shoot with a bow or crossbow, archery is a great place to start in the Cleftlands and is open to archers all ages. Ready to take your aim up a notch? 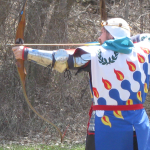 The SCA has many venues you can explore, from target archery and thrown weapons, Medieval siege engines such as a ballista or trebuchet, to combat archery at live targets, all under the supervision of trained safety marshals. Are you or your family interested in archery? Contact our Archery Marshal! Whether you enjoy working with metal or wood, yarn or silk, sugar or sand, or just getting your hands dirty, the Society’s passion for crafted goods is endless. Members research and create a smorgasbord of items from the most common of leather shoes to elaborate medieval jewelry to masterpieces of arms and armor. Crafting isn’t limited to the tangible; other areas of interest such as bee keeping or animal husbandry are also favored pastimes. Are you interested in crafting from ages past? Please contact our Minister of Arts & Sciences for more details! Food and drink are essential to life, whether in the modern or the middle ages. Smoked turkey legs aside, the cooks, bakers, and brewers of the Cleftlands strive to recreate mouthwatering Medieval dishes from extant (existing) cook books, documents, and ledgers that are primarily eaten at our many local events. When not eating, members often share their love of food through teaching and demonstrations. 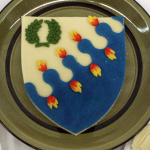 If you are interested in learning more about the food and drink of the Middle Ages or the Cleftlands Cooks Guild, please contact our Minister of Arts & Sciences. 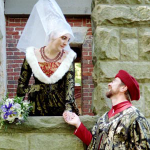 Performing arts in Medieval times and in the modern era encompass a broad spectrum of activities. Vocal and instrumental music, improvisation, oration and storytelling, comedic and dramatic group performances, middle eastern or European dancing… these are just the tip of the entertainment iceberg! If you are interested in learning more about the performing arts community in the Cleftlands, please contact our Minister of Arts & Sciences. 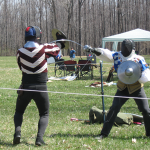 The rapier community in the Cleftlands is dedicated to studying the art of Medieval-style rapier fighting from the latter part of the Middle Ages. Whether you take up the sword for showmanship in the tourney ring, fight for the thrill of a melee, or merely wish to study the manuals and text for a more scholarly approach to the sport of fencing, the Society is a perfect place to explore your interests. If you are interested in learning more about rapier combat in the Cleftlands, contact our Rapier Marshal! 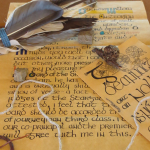 The scribal arts of calligraphy and illumination were used in the Middle Ages to create beautiful scrolls, manuscripts, legal documents, and both religious and secular books. Scribes in the Cleftlands practice modern and Medieval techniques to recreate awards or documents, often through the use of period-appropriate materials, inks, and parchment. These miniature masterpieces are freely given to those recognized for service or skills. Are you interested in calligraphy or illumination? Or would you just like to try your hand at it? Contact our Minister of Arts & Sciences! 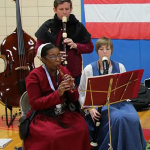 The Barony of the Cleftlands is a family-friendly organization that has many activities geared towards members of all ages. 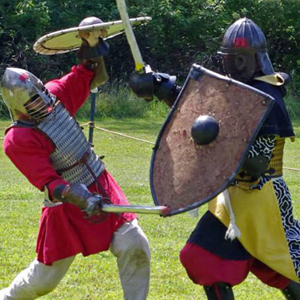 Families can explore the Middle Ages through hands-on activities like arts and crafts, games, or supervised youth martial sports like armored combat, rapier, and archery. If you or your child are interested in in the SCA and the Middle Ages, please contact our Youth Coordinator.